The Hilldale is a great looking and great wearing western styled work boot, ideal for work or casual wear. 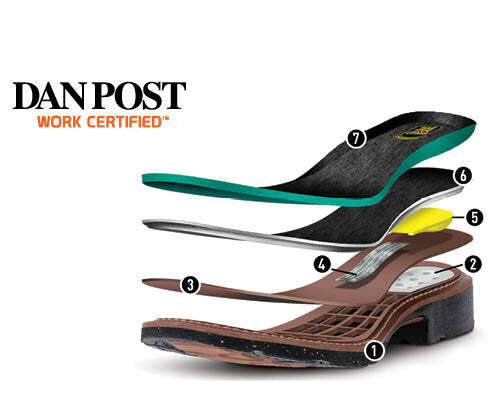 The Dan Post Comfort system is 7 layers of hi-tech components that make your feet forget they are working. The Removable Orthotic is breathable and washable.